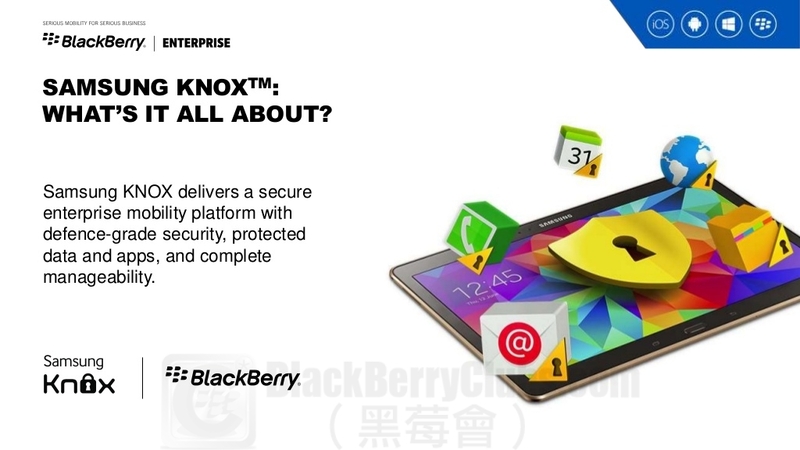 Hong Kong – September 30, 2015 – BlackBerry Limited (NASDAQ: BBRY; TSX: BB), a global leader in secure mobile communications, today announced that 1O1O is now offering its enterprise customers BES12™ Cloud, a cloud-based enterprise mobility management solution that provides easy management of iOS, Android™, Windows Phone®, BlackBerry® 10 smartphones and tablets, as well as a wide range of Samsung KNOX and Android for Work smartphones and tablets. 1O1O is the premium mobile brand of HKT, Hong Kong’s leading telecom services provider and mobile operator. This announcement builds on news earlier this year that 1O1O is offering Enhanced SIM-Based Licensing (ESBL) by BlackBerry, meaning its enterprise customers can get BES12 integrated with their wireless monthly subscriber billing. BES12™ as a cross-platform EMM solution, extends beyond EMM to communications, collaboration, and identity and access management within a secure enterprise mobility ecosystem to provide a highly productive end-user experience. 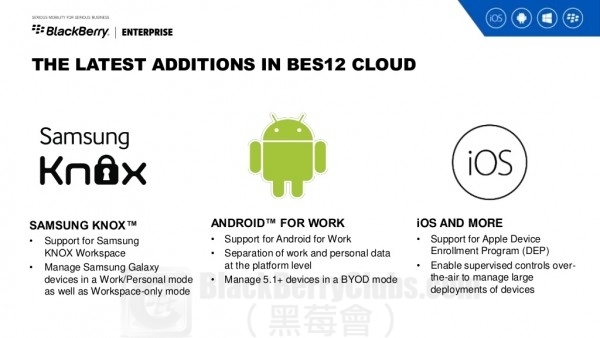 Now accessible in cloud, BES12 provides enterprise customers with more flexibility and variety in managing their mobile solution while supporting a broad range of device mobility policies, all through a simple browser interface and without complicated or expensive server installs. According to a Hong Kong survey1, more than 50% of SMEs in Hong Kong recognize the importance of data security and see cloud services as one of the solutions in resolving data security issues. 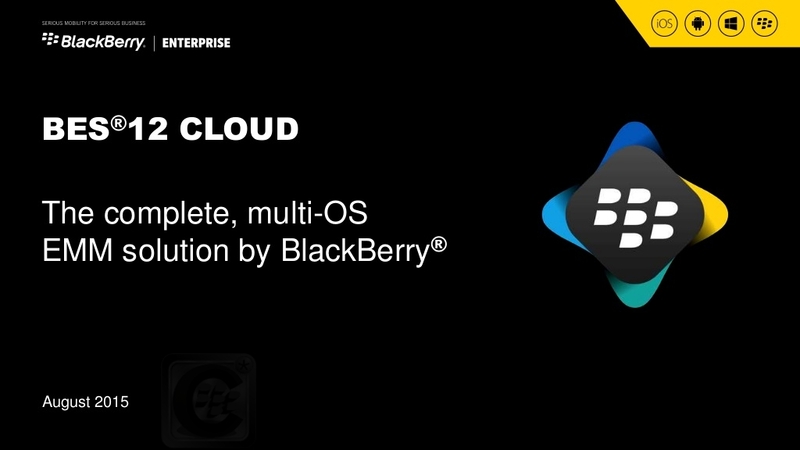 To accommodate the prevailing mobile deployment models BYOD, COPE and COBO, BES12 Cloud leverages BlackBerry’s trusted global infrastructure to offer secured and expanded cross-platform EMM capabilities. Its simple setup and configuration make it easy for SMEs to adopt cross platform MDM, enabling them to enjoy the benefits of cloud-based productivity and collaboration solutions like BlackBerry Blend and BBM Meetings. This entry was posted in [ BlackBerryOS10 News ], [ Exclusive News ], [ Hot News ], [ Android-Series News ], Android Secured News, [ Hot News ], BBOS News (OS5 , OS6 & OS7), [ BlackBerryOS10 News ], BES News, [ Hot News ], Official News, [ BlackBerryOS10 News ], Porsche Design-Series News, [ BlackBerryOS10 News ], Q-Series News, [ Exclusive News ], Skill Tips, Tech News, [ BlackBerryOS10 News ], Z-Series News and tagged in 1010, Android, Android for Work, BES12, BYOD, COBO, COPE, EMM, ESBL, Hong Kong, HongKong, iOS, Privacy, Samsung KNOX, Windows Phone, 企業客戶, 香港， BES12 Cloud.